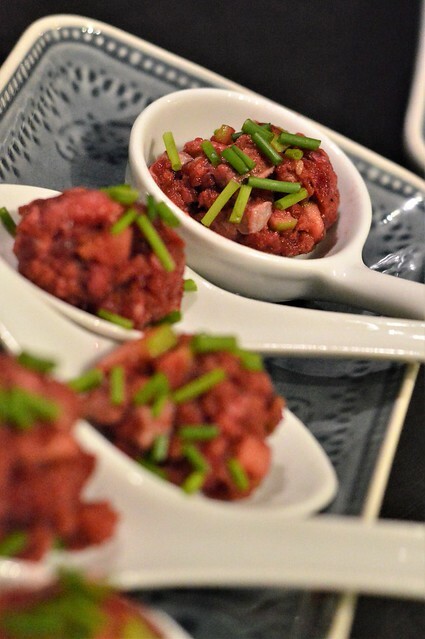 These amuse-bouches are all really light and tasty and are perfect to serve to your guests before any diner party. They are fresh to the palate and arise the appetite. 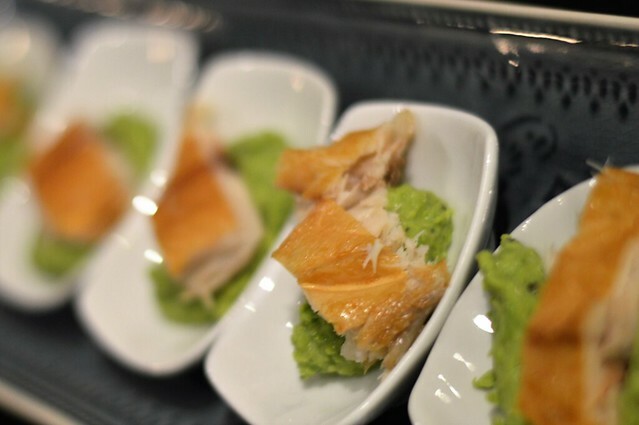 Served with a crispy Prosecco, it is the perfect start of a lovely diner party! 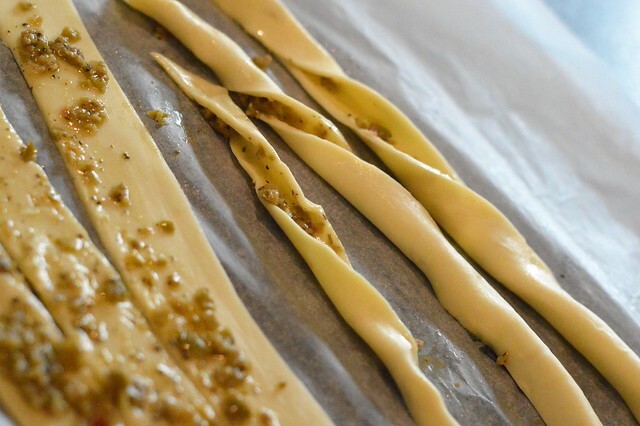 Ingredients to serve 12: 1 piece of ready-made puff pastry (230 gr) and 1 jar of tapenade from olives. 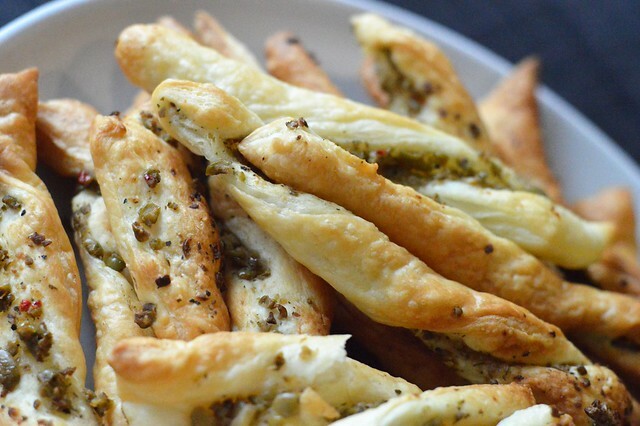 Take the ready-made puff pastry out of the packet and place it on a backing sheet on an oven tray. 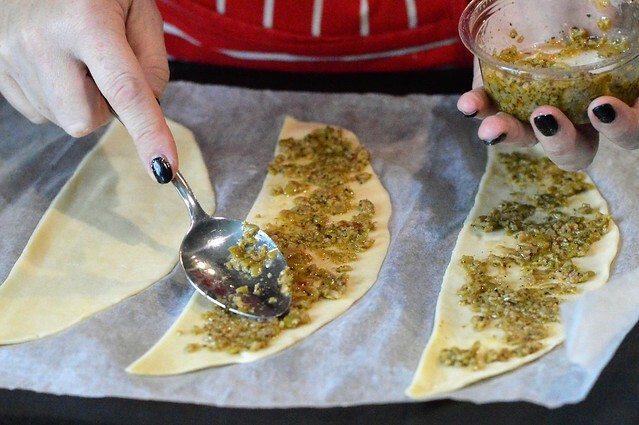 Layer the pastry with the tapenade, using the back of a spoon or a brush. 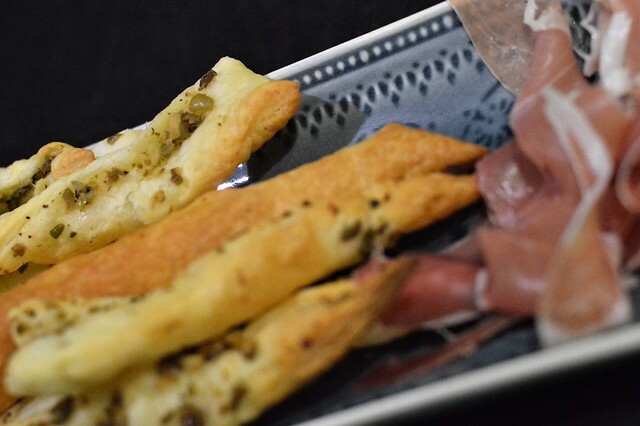 Cut the pastry in strips of about 8 cm long and 1-2 cm thick. Twist the strips to make a spiral. Put in the oven (200%C) for about 12 minutes. Boil the peas for about 2 minutes. 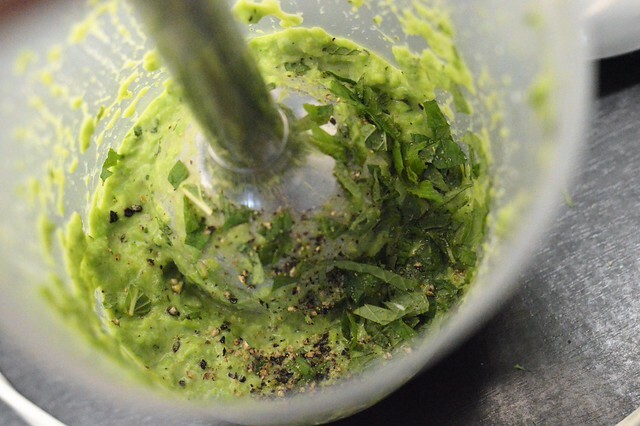 Mix the peas with the cream and chopped mint leaves (leave some for decoration). Put some mousse on a spoon or a little plate and serve with a piece of smoked mackerel. Cut the mango in very small pieces and squeeze the juice of 1/2 lime on top. Put some salad leaves on a little plate. 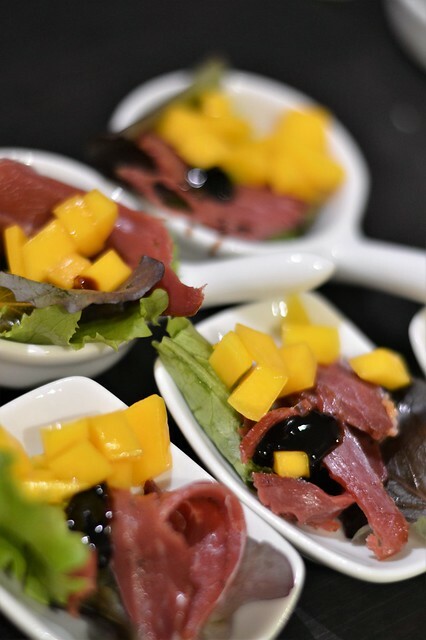 On the salad leaves, put a bit of the smoked fillet of duck breast and a couple of pieces of mango. Serve with a drop of balsamic cream and a twist of pepper. 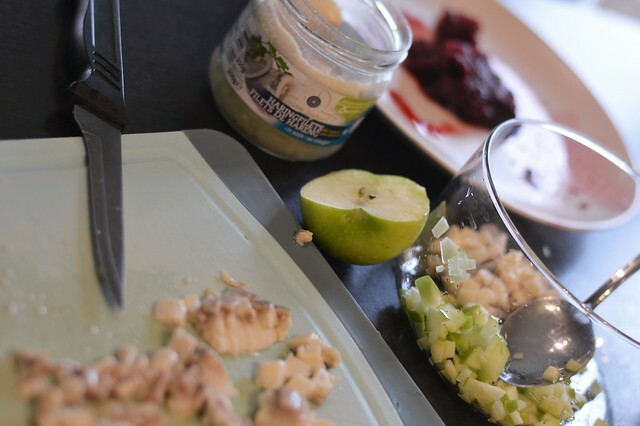 Cut the apple and herring fillets in tiny pieces. 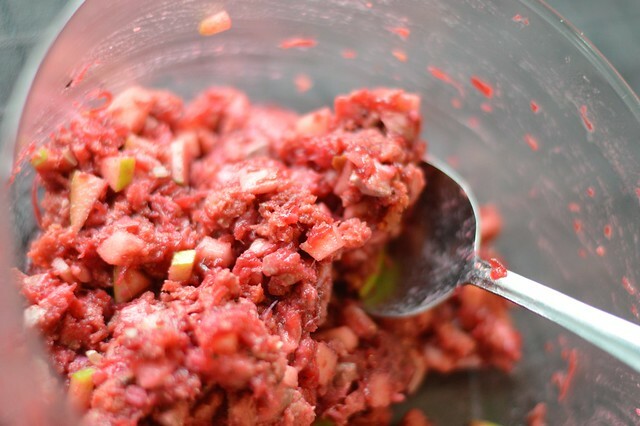 Mix all ingredients (except the chives) together. Roll the mixture into a little ball and cover in chives. And that’s it! These were all so easy to make which makes it fun as you can enjoy making them, but also devouring them together with your guests!